How do “Implicit Associations” Affect Your Performance on the GRE? Two students are identical in most respects. They have identical SAT scores, identical GPAs, and are both preparing to take the GRE. They both say they’re very motivated to get a top score. Which of them is likely to earn a higher score? A fascinating new article by Melissa J. Ferguson, Professor of Psychology at Cornell, and Clayton R. Critcher, Assoc. Professor of Marketing, Cognitive Science, & Psychology at UC Berkeley, describes significant research they conducted into “implicit associations” and how measurements of these automatic associations can predict success or failure at a variety of important tasks, including the GRE. Ferguson and Critcher differentiate between “explicit beliefs,” which correspond to people’s stated intentions, and “implicit beliefs,” the automatic, subconscious association of different concepts with varying attributes. For instance, extensive research has been done into implicit associations and biases towards different ethnic groups. While many people claim to be impartial, studies using the Implicit Association Test pioneered by Greenwald, McGhee, and Schwartz have shown hidden prejudices that have demonstrable effects on the way people interact. How Does this Relate to the GRE? In addition to investigating how implicit associations correspond to achieving high grades, Ferguson and Critcher explicitly investigated how attitudes about the GRE relate to actual test performance. They found that even when controlling for factors such as identical SAT scores, the participants who had stronger implicit beliefs about the importance of the GRE tended to score better on the GRE. Further, their research suggests that those who are easily distracted, late, or have difficulty completing work on time benefit the most from powerful implicit beliefs about the importance of school performance or a high GRE score. So What Can I Do About My Implicit Beliefs? Ferguson and Critcher are careful to qualify their conclusions. 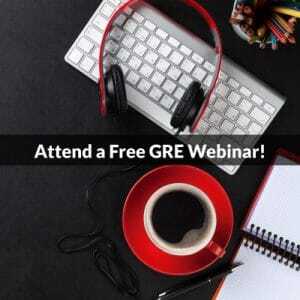 While there is a positive correlation between tacit beliefs about the importance of the GRE and higher scores, this relationship may just reflect a quality inherent in those already predisposed to do well, that is to say, modifying your implicit beliefs about the GRE may not have the causal effect of increasing your GRE score. However, as a teacher who has long instructed students that a positive attitude both about test preparation and the test itself is an essential element of success, I can provide at least anecdotal evidence to back up the possibility that changing your beliefs about the GRE can impact your success for both better and worse. Students who look at test prep like a chore that they have to slog through tend to make less progress. 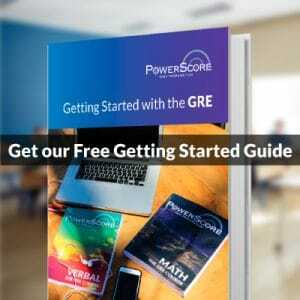 Students who look at the GRE as an engaging challenge to overcome or a goal to achieve can both have better success with the test itself and more fun getting there. So get positive and get to work!